I will be the first to admit I am all for a simple style when it comes to clothes – well most things in life really. I love classic pieces that will last longer than a season and that can be used in different ways. The blazer is the perfect example of this – it is a style staple that will outlive any trend and last in your wardrobe for years to come. 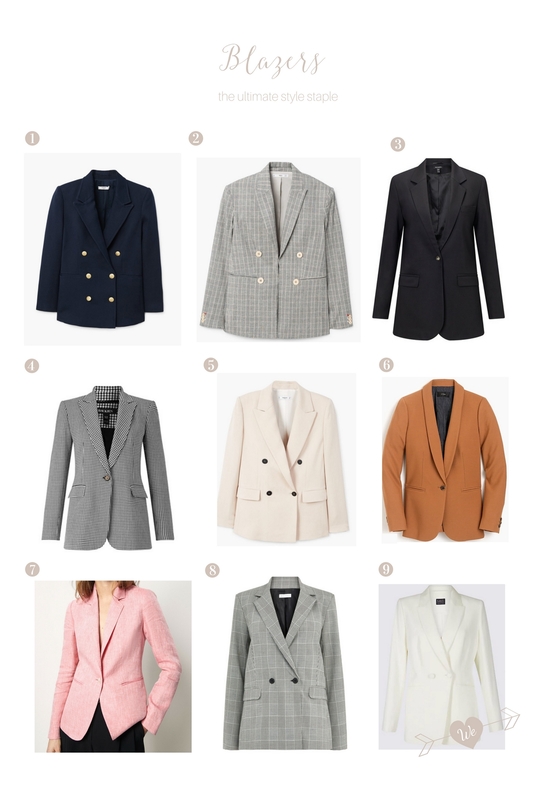 My favourite way of wearing a blazer is teamed with jeans, heels and a blouse for work or for more casual days then with jeans, trainers and a t-shirt. These types of outfits are stylish classics and to keep them up to date and interesting I like to add interesting accessories such as statement earrings, a leopard print belt or killer shoes. If you have a job where you need to where more formal clothes, a blazer over a dress looks so smart and I absolutely adore the more trend-led colourful two piece sets that are popping up on Pinterest lately (although I think one for me file under ‘love to look at’ rather than wear myself). Now with the weather (hopefully, and finally) turning warmer, a blazer is the perfect item to dig out from behind your winter jumpers or invest in something new. How would you style up a blazer? Thank you! Your dress sounds like a great deal!